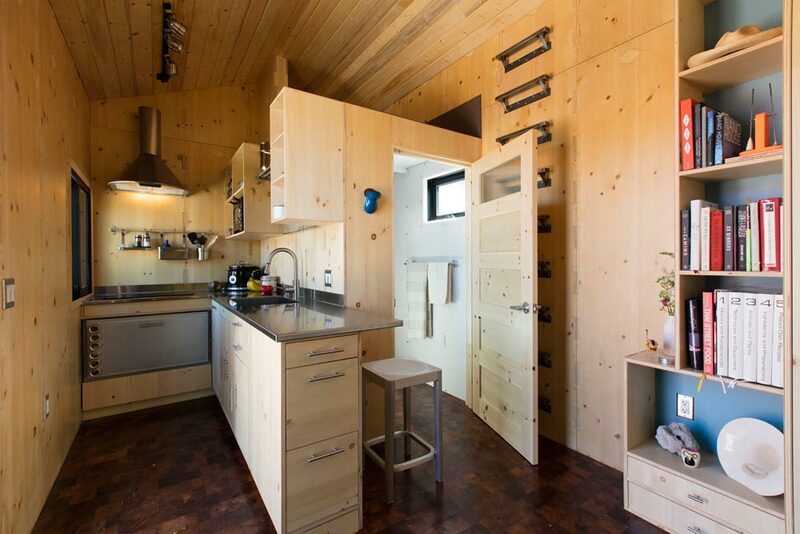 To create the SaltBox, Santa Fe-based Extraordinary Structures worked with Los Alamos National Laboratory engineers on thermal efficiency and their panelized construction system cut by a CNC machine. 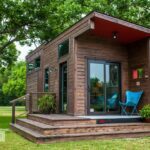 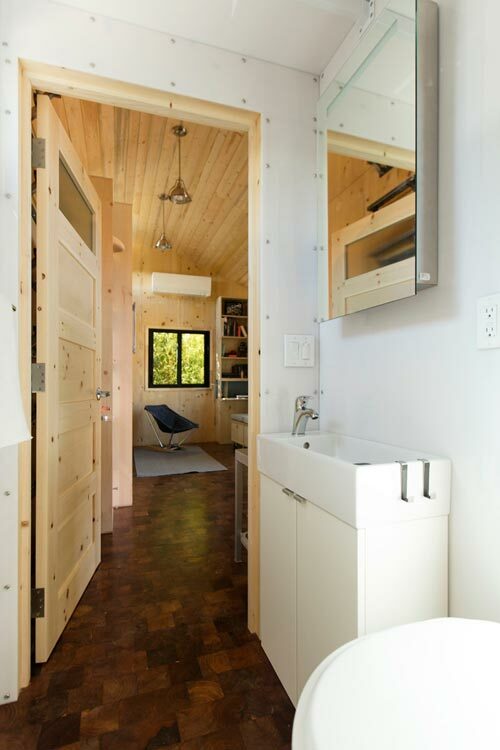 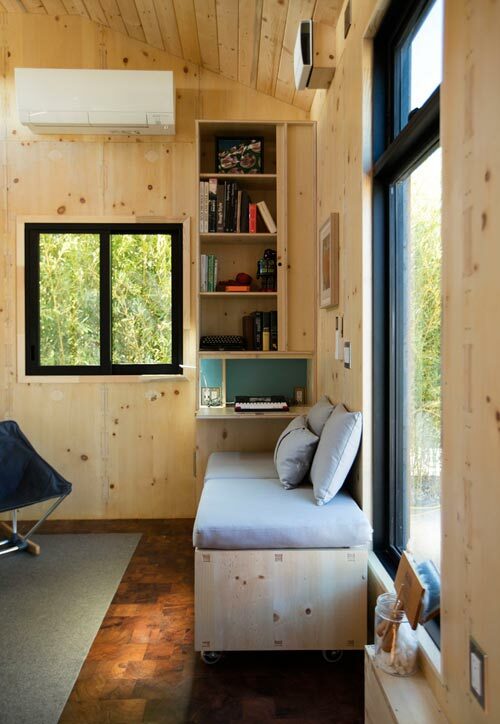 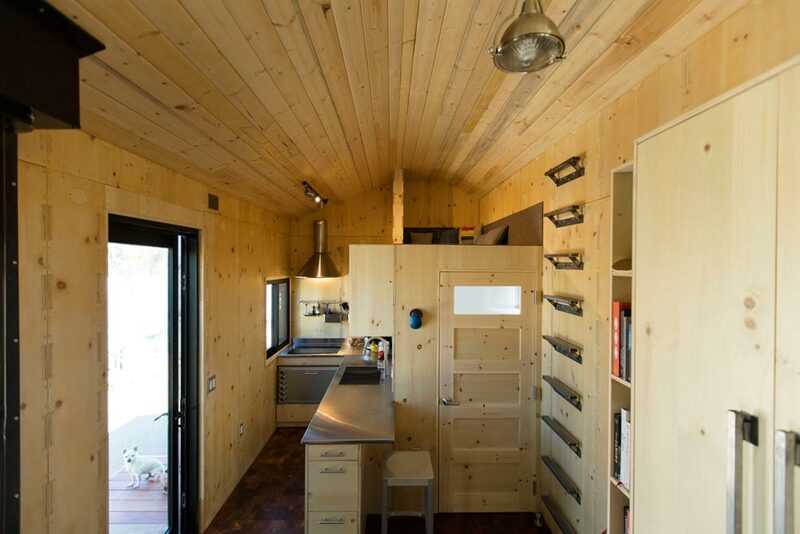 The result was an environmentally-friendly tiny house with contemporary design. 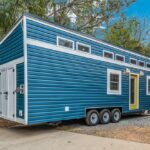 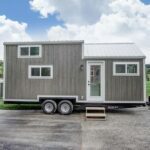 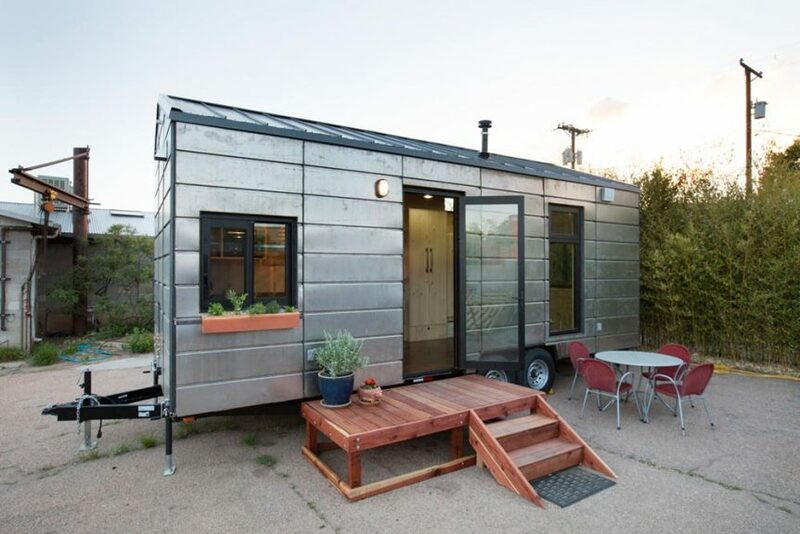 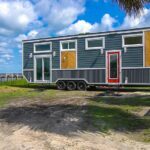 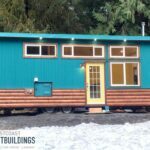 Built on a 24-foot by 10-foot TrailerMade trailer, the SaltBox features 22 gauge steel siding that will rust over time. 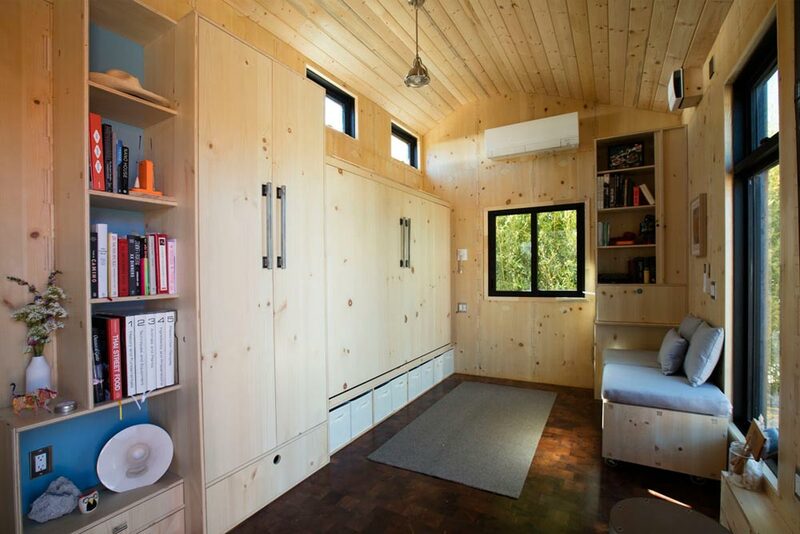 The home uses mineral wool and sheep’s wool for R-20 walls and R-35 floor and roof. 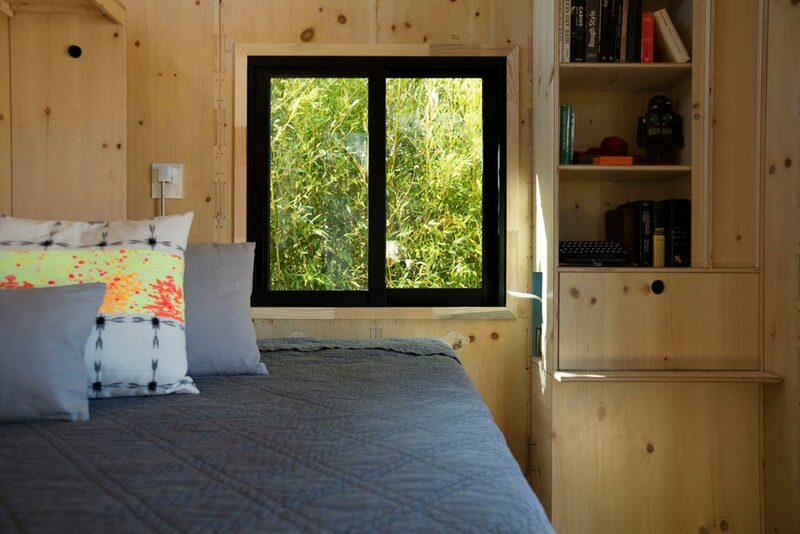 In the pictures below, the panelized walls were left exposed so people could view the joint system. 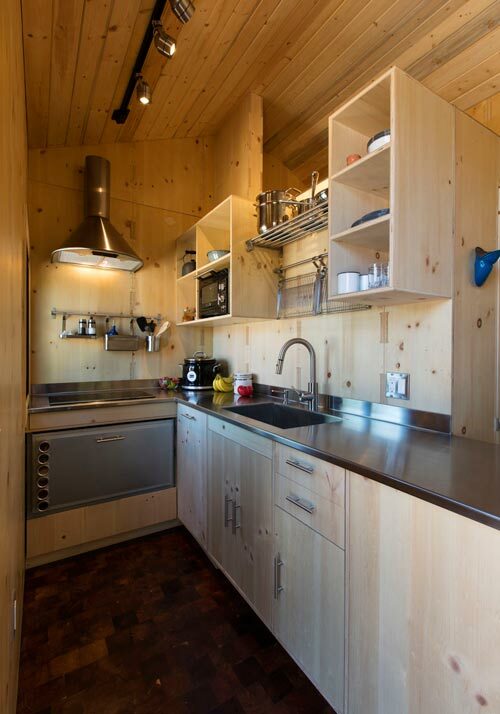 The kitchen includes a stainless steel counter with integrated sink, two burner induction cooktop and vent hood, KitchenAid convection micro-oven, and Fisher Paykel Actrive Smart drawer refrigerator. 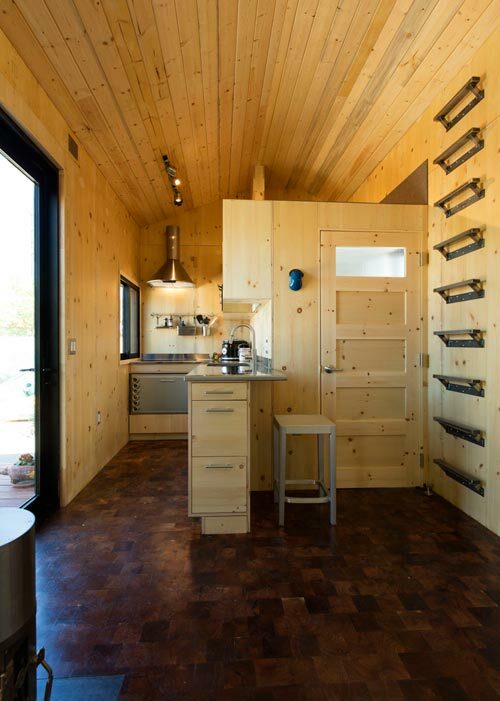 The counter also serves as a breakfast bar with bar stool. 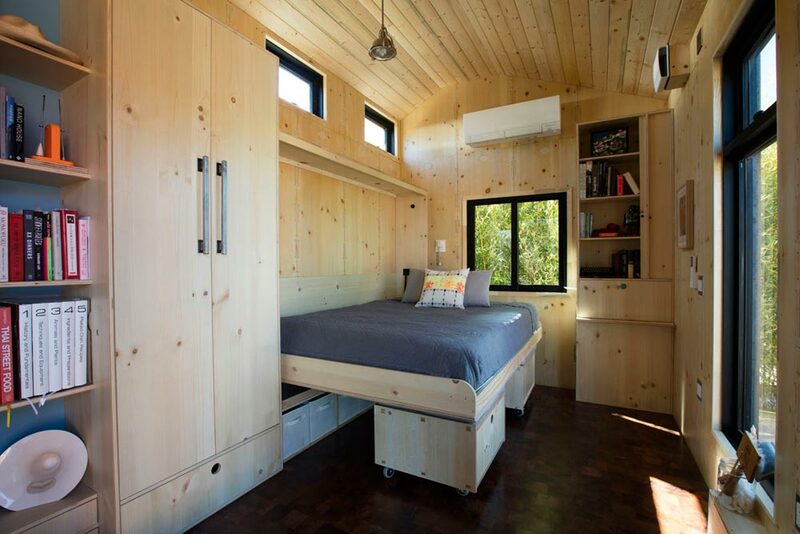 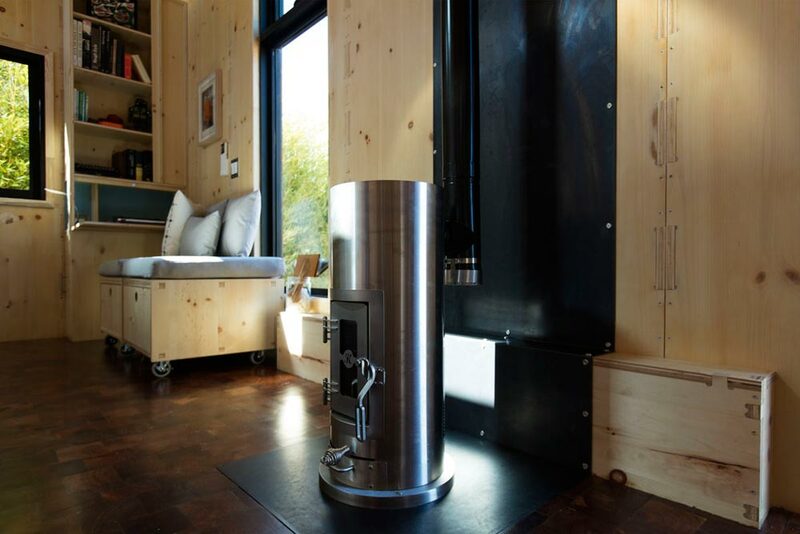 In the main living area is a Kimberly gasifier wood stove, queen size wall bed, modular seating cubes with built-in storage, and built-in closet, shelves, and desk. 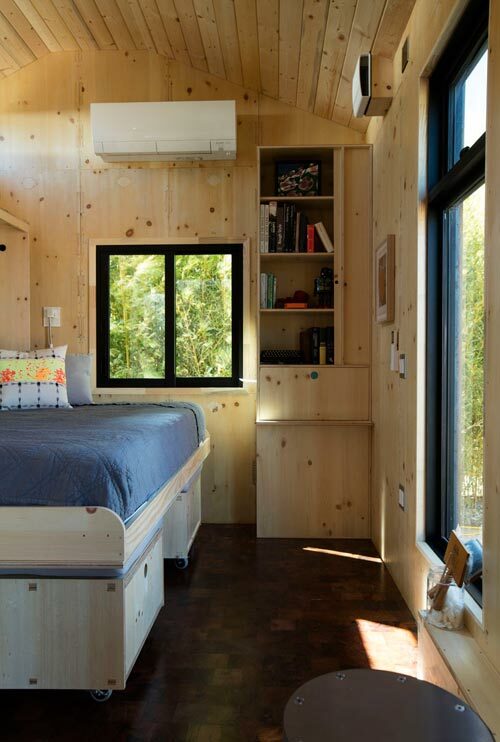 Mesquite end grain floors are used throughout the house. 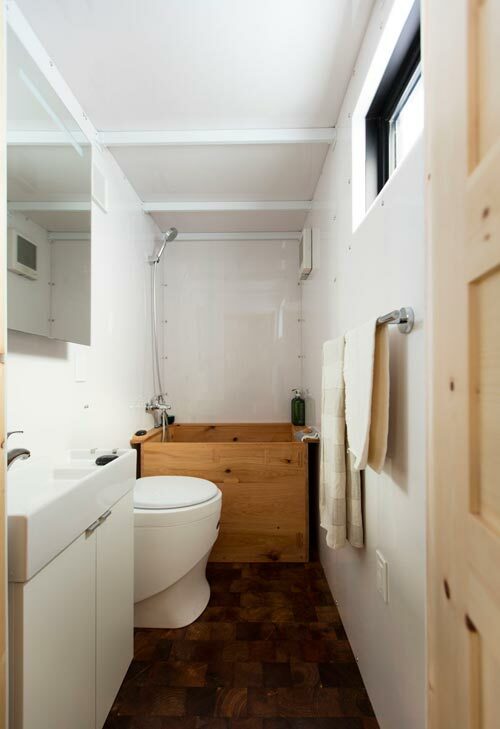 In the bathroom is a beautiful hand-built cedar Ofuro soaking tub, Separett composting toilet, and humidity-activated ventilation. 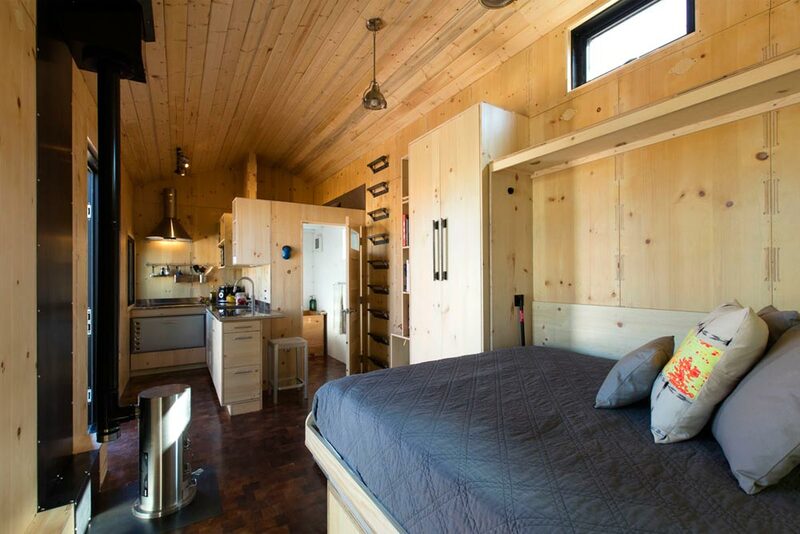 Above the bathroom is a felt-lined loft that can be used as a guest room, reading nook, or for storage. 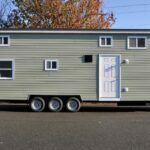 With all the bells and whistles, the SaltBox sold for $82,500. 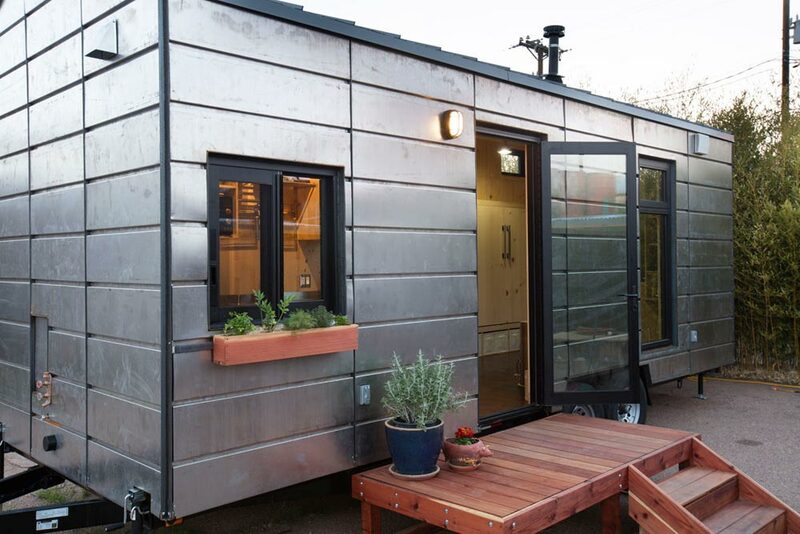 The base price on a similar size and layout with less fancy finishes and appliances is about $50,000. 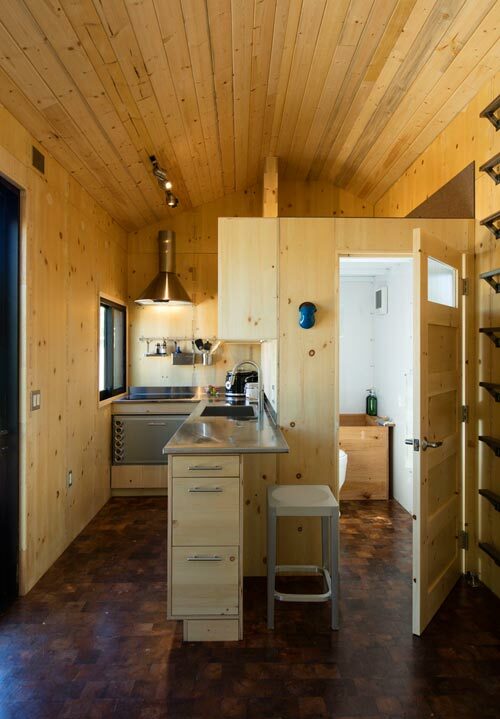 For more information about the SaltBox, you can visit the Extraordinary Structures website.